How many times have you arrived at the airport on time, only to spend the next 20 minutes crawling around the car park looking for a space miles from where you wanted to be? Well, if you’re flying from Gatwick in the next 12 months this needn’t be an issue anymore. The UK’s second largest airport has just become the first in the UK to sign a deal with Stanley Robotics to trial their valet parking robots; which could revolutionise the way we park. The trial – which will run from the second half of 2019 to early 2020 – sees passengers leave their car in a ‘parking station’ close to the South Terminal entrance, where the robot will then collect the vehicle key-free and do the rest of the work for you. Drop off your car – Stanley describe their drop off points as ‘bright and spacious boxes’, where passengers simply drop off their cars and take their bags, without the need to leave behind any keys. Validate your reservation – By scanning your reservation QR code, the booking is then confirmed and the box secures your car while waiting for the robot to come and collect the vehicle. The robot takes charge – Similar to a forklift, the robot slides underneath your car and uses its arm to delicately lift the vehicle. Your car is parked in a secure space – In a private car park, free from human interaction, the robot then parks your car for you. Upon your return your car is ready for you – The service is connected to your flight information, so when you return your car will be waiting for you in the box you dropped it off at. 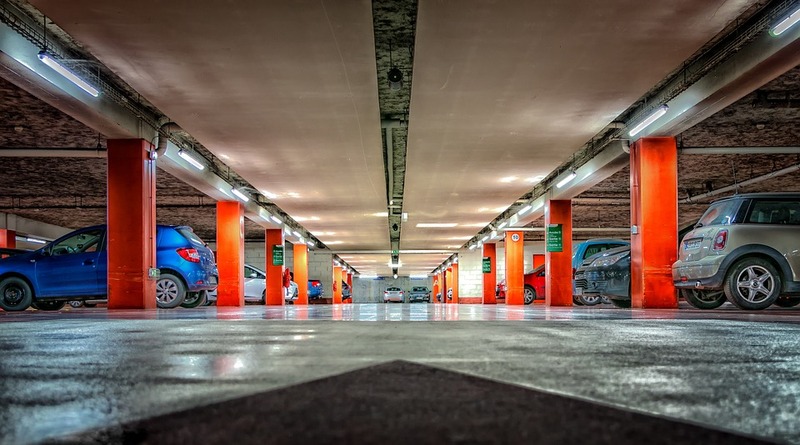 With many airports having limited space for parking, Stanley claim to have solved this issue by turning existing parking lots into automated parking areas, which have up to 50% more spaces in the same surface area. What’s more, the technology is also surprisingly affordable. When checking prices for the service at Lyon-Saint-Exupéry’s – a French airport also trialling the technology – a week will cost you €55.80 compared to €54 if you were to park your car yourself. This price is even more appealing when you consider the costs of actual valet parking – which would set you back €104 for a week at Lyon-Saint-Exupéry’s. As well as this, the robots are emission-free as they run entirely off electric power. However, as with most robotic technology there is the drawback of job losses. The Stanley Robotics service is completely autonomous and if these kinds of services do become the norm, we could see many associated jobs become obsolete in the future. There’s also the issue of cost. While airports and other facilities would save money by not having to employ as many staff, these robots are currently extremely expensive and there are maintenance/breakdown costs to consider. Currently, this service is not the cheapest to implement, which could put-off businesses. Furthermore, as with any robot – the service misses the personal element. Many people still don’t entirely trust robots and would prefer a human-led service, even if it is a little more expensive. Overall, there’s no question that robot valet parking is more efficient and would certainly help combat the issue of parking space. However, the technology is still new and it’s difficult to tell how many people would willingly let a robot park their car for them. It’ll certainly be interesting to see how Gatwick’s trial with the technology goes. In the short run there may well be resistance; however, in the long run, it will surely become the norm.